B is for Baba & Baba is Baba Bee – Happy Father’s Day! 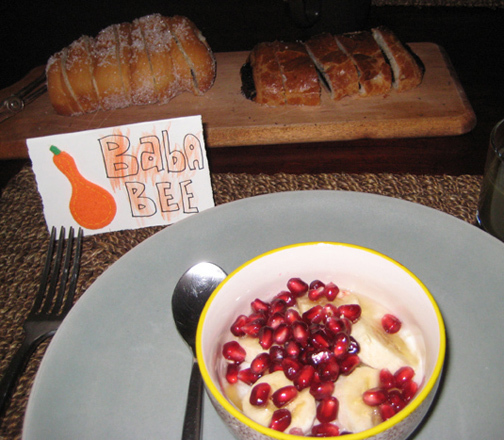 Baba is Persian for “dad.” You could also say pedar which means father – but it’s more formal and not often used in everyday intimate parlance. When we first moved to the U.S., I got embarrassed to call my father “baba” when out-and-about in public (another story, another day!) and took to calling him pedar instead and it became a habit that seeped into my ordinary private address of him as well, but it always felt prickly on my tongue – so I finally got over it and went back to baba right-fast. Because when one’s an irooni, one’s father is baba or baba joon — simple as that. As for Baba Bee, that’s a nickname we made up for the word baba bozorgh (big baba!) which means grandfather in Persian. Baba is a man of moderation when it comes to food – I’ve never seen him over indulge, not even once, no matter how small or great the temptation, BUT, he must must must have 3 meals a day whatever-may-come-rain-hail-or-shine — the idea of skipping a meal tantamount to sacrilege and cause to be crestfallen; and by golly, he wants, nay, needs his torshi and sabzi and salad at every supper. The existence of these culinary accoutrements at the dinner table possibly a testament to an order of a type that as a disciplined, organized person he finds reassuring? One can only conjuncture – but there’s also the simple matter that they do enhance the pleasure of every meal! So there’s that. 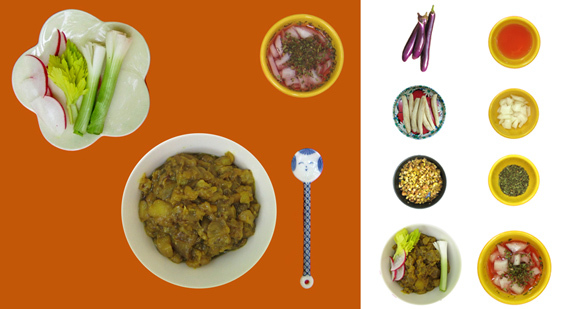 Baba knows how to cook – a secret talent revealed to us the first time Maman was away on a long trip back to Iran – he cooks while often raising an eyebrow in quizzical concentration as if trying to remember something essential, but still, he cooks well. And possibly because it is a rare occurrence, I am always charmed by his cookery. In general though, Maman did all the cooking, although when it came to making fereni and shir berenj, she defered to Baba, saying “that’s really your father’s specialty.” Speaking earlier of torshi (Persian pickles & tangy preserves) that’s something Baba likes to make, sometimes by himself, sometimes Maman and Baba together. Wishing you all a very Happy Fathers Day! 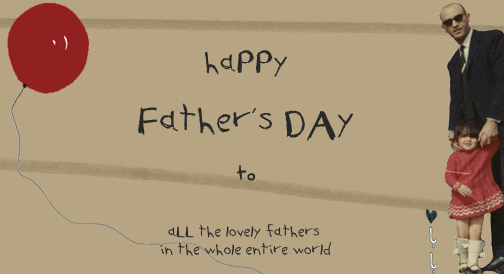 Hip hip hooray for all the wonderful fathers – those we are fortunate to have around and those who are alive in hearts. My grandkids call me JJ for Janet June…. So nice to meet your Father and what a wonderful post, those photo’s of Baba with Baby Bee are so adorable. 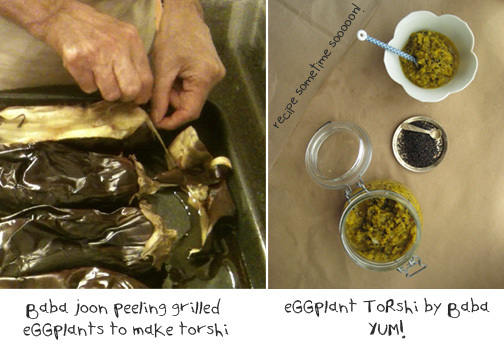 Love torshi, want to learn out to make it. Happy Fathers Day to your wonderful Dad!! Another beautiful post. Thank you Azita! Azita, i love your posts. I read this one together on the phone with my father. I love your stories… this one particularly. You made my mouth water with all the sour albaloo talk. Thanks again for sharing! Tala, thank you! I experience a bunch of feelings that would be beyond corny to put down but let’s just say comments like this keep me going and really cheer me up! 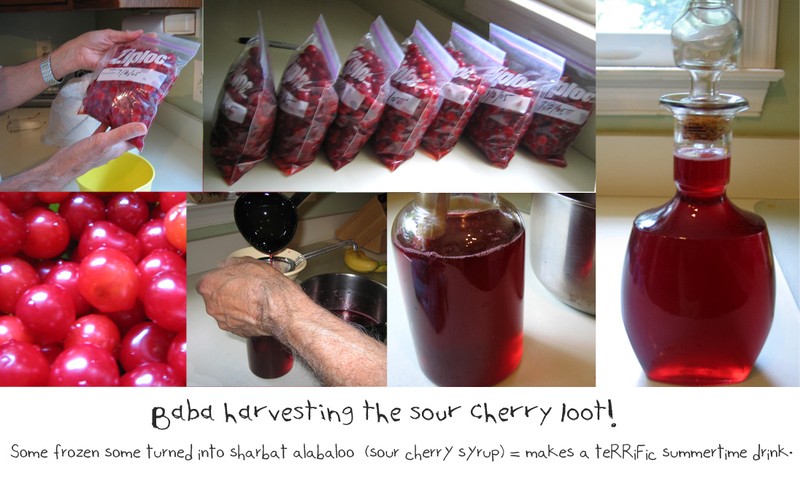 Viva sour-albaloo season (in a month or so – maybe there’s an orchard near you as well?) Happy Father’s Day! Off course! 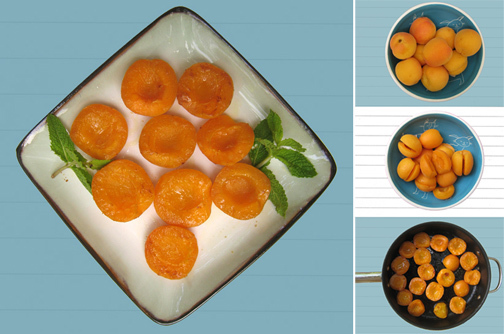 It was apricots. How could I forget that. I mentioned your blog to someone in my last post through comments, suggesting that I had learnt about cooking peaches and nectarines through your blog. I’ve got such a bad memory! Your father is a beautiful man and looks like such a sweet grandfather! You are lucky to have him. Super lucky! And thank you!! Happy Father’s Day! Looking forward to your dad’s recipes. – Affarin Dokhtar! I appreciate the intimate stories you bring through your arts. You are a Joy! – Happy Father’s Day to your Baba and Felfeli’s Baba Bee! – Is that little Azita I see in the photo? Fae – laughing reading your comment – so fun. No, no bagheh albaloo in the family alas. At least not here – we had one back in Iran. Here in the DC area (or I think maybe it’s in Virginia) there’s an apple and cherry and sour cherry orchard that my folks and their friends frequent. I’ve never been. So that’s where albaloo comes from. And yes, that is indeed the little Azita you spy. I do remember that beautiful torshi recipe you posted – your husband’s skilled hands helping out – hopefully there’ll be more!